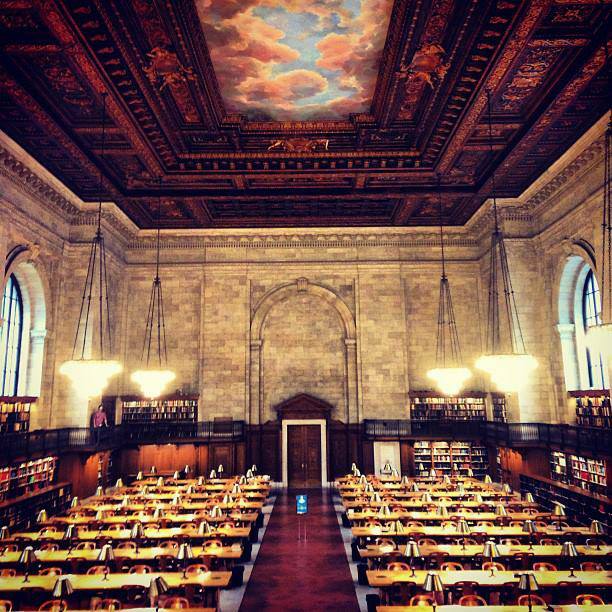 When I work from New York, I spend all day writing at the library on 5th (it’s where I am right now!) so that I can meet my partner, who works in Times Square, for lunch. There’s something about working from the study halls that lets me just read and write for hours without feeling distracted (which is a good thing because I’m so swamped with work). I feel immensely calm and productive here; it’s just about my favourite space in the city. When I look up at the ceiling, I wonder if I’m the only person who remembers that 90’s Macaulay Culkin film where the main character learns about courage through an animated adventure. I can imagine the ceiling dripping down and melting all over (image via Pinterest). I also can’t help but hear the Ghostbusters theme song every once in a while…a little like this.